Assay as (Na2)S2O3 98 % Min. 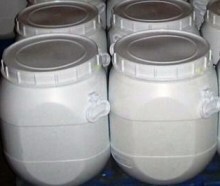 Description White powder free from foreign particles. Standard Packing 25 Kg. / 50 Kg/55lbs. 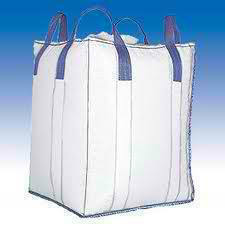 HDPE Bag with extra liner inside or in Jumbo bags or as required by the buyer. Contains not less than 99.0 percent and not more than 100.5 percent of Na2S2O3, calculated on the anhydrous basis. A: To a solution (1 in 10) add a few drops of iodine TS: the color is discharged. B: A solution (1 in 10) responds to the tests for Sodium and for Thiosulfate. Water— Dry about 1.0 g, accurately weighed, in vacuum at 40 o to 45o for 16 hours: it loses between 32.0% and 37.0% of its weight. Calcium— Dissolve 1 g Sodium Thiosulfate in 20 mL of water, and add a few mL of ammonium oxalate TS: no turbidity is produced. Heavy metals—: the limit is 0.002%. 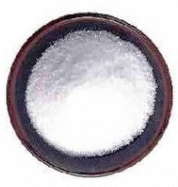 Sodium Thiosulfate or Sodium Thiosulphate occurs as large, colorless crystals or as a coarse, crystalline powder. It is deliquescent in moist air and effloresces in dry air at a temperature above 33°. Its solutions are neutral or faintly alkaline to litmus. One gram dissolves in 0.5 mL of water. It is insoluble in alcohol. A. Add a few drops of iodine TS to a 1:10 aqueous solution. The color disappears. B. A 1:20 aqueous solution gives positive tests for Sodium and for Thiosulfate. Assay: Not less than 99.0% and not more than 100.5% of Na2S2O3 after drying. Water: Between 32.0% and 37.0%.